Our next Guild meeting is Tuesday, 23 October. 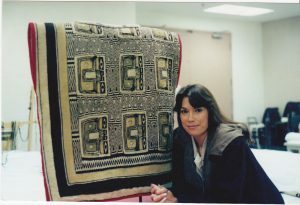 Our guest speaker, Susan Rockwell from Braintree Vermont, will share her doubleweave experience. This presentation will explore the many aspects of double weave on four shafts including: weaving two separate layers simultaneously, weaving double width cloth, tubular weaving and variations, as well as double weave pick-up for creative woven-in designs. 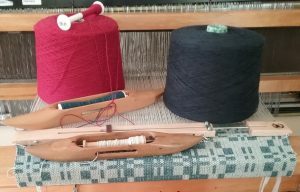 We will discuss a brief history, drafting, finishing, setting up the loom and helpful tips. There will be numerous samples to examine. 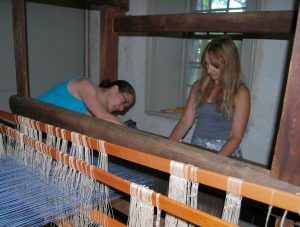 There will be a loom set up for demonstrating and if you would like to try weaving double weave. This presentation will be valuable to ALL LEVELS of weavers! Social time begins at 7, and the meeting will begin at 7:30 at The Fiber Loft. This is a special invitation from Diane Howes, a fellow weaver. The event is happening this coming Wednesday, and all are welcome! They still have space. Come see our Collection of Early Handwoven Textiles! Last year, with the closing of the American Textile History Museum in Lowell, the James House was the fortunate recipient of three boxes of early handwoven blankets and two boxes of early handwoven linens as well as many antique textile tools from their artifact collection. 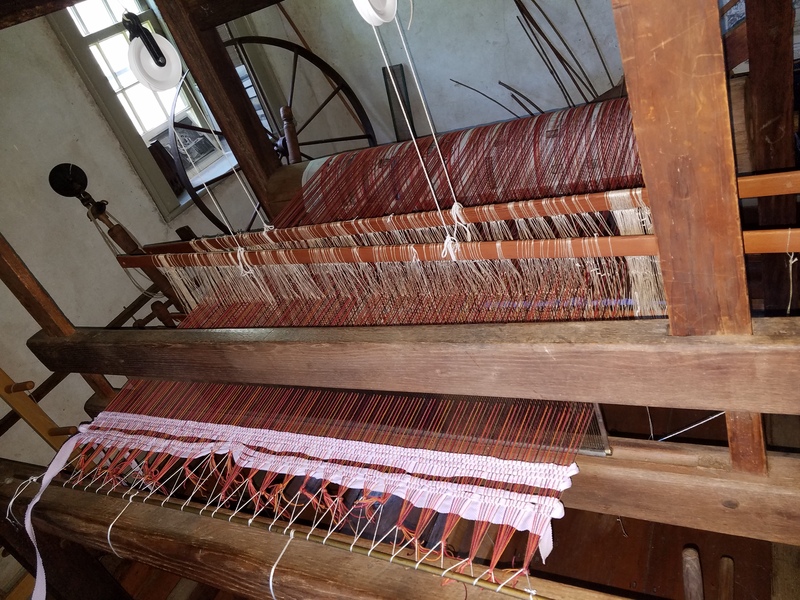 The addition of this new collection complements the display of the James House’s period barn frame loom on which the weaving of a re-production early 19th century blanket is demonstrated to visitors. 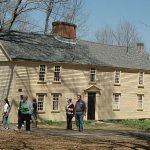 The James House is a First Period home built in 1723 by Benjamin James. Benjamin, his son, Jabez, and grandson, Joshua, were professional weavers in this house for three generations. Please join us for a day of examining these special textiles and equipment. This will be a hands-on experience and includes a tour of the house. Bring a bag lunch if desired. Other dates are available upon request for groups of 3 or more. Directions can be found on the museum website. I’m on my way to a textile history forum in Vermont and am catching up on reading some old magazines. (Don’t worry, my husband is driving!) 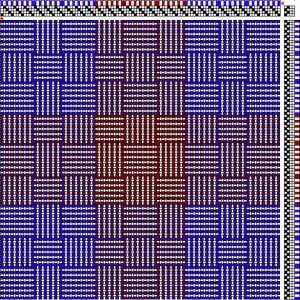 I ran across this article about twist that is a good follow up to the program we had at a guild meeting this past year. Just sharing. 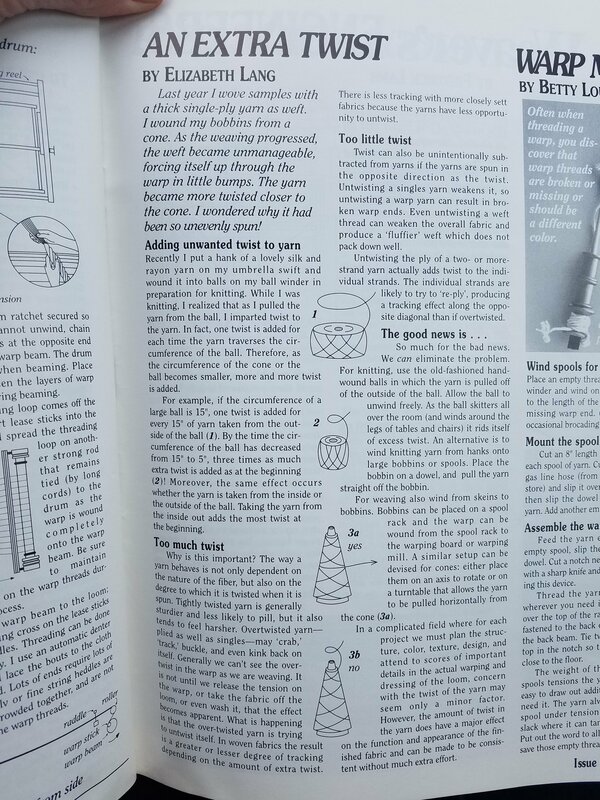 It’s from Weaver’s magazine, issue 15. Yarn: The Movie coming in May! The film follows several artists who are redefining the tradition of knit and crochet, bringing yarn out of the house into the world. The screening is free and open to public. Advance registration is recommended. Email yarn@nvwg.org to reserve your seat.